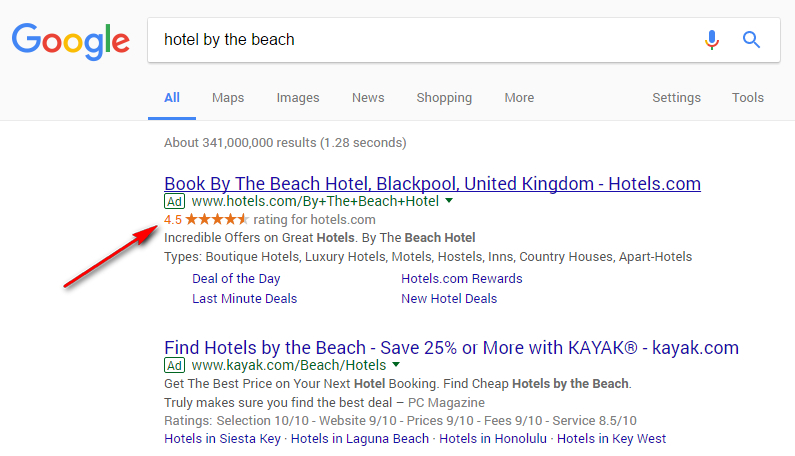 Have you noticed the gold stars next to some Google ads? Or perhaps you’ve heard the term ‘seller ratings’ but have no idea what that means or how to get your business rated? Then we’re here to demystify the whole process for you. Read on to find out exactly what Google seller ratings are and how they can dramatically increase the performance of your online ads. 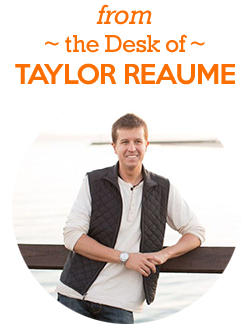 We’ll also tell you how to get great Google seller ratings for your business. Google seller ratings help online shoppers make informed purchasing decisions. The automated extension collates information from independent review sites to create an overall rating for your business. 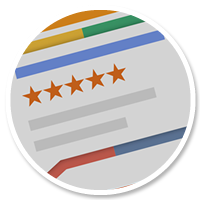 This is displayed in the form of gold stars beneath your Google ads, which provides an instant, visual snapshot of how customers rate your business on a scale of one to five. Why do you need Google seller ratings? Ratings increase the performance of your ads. Google seller ratings increase the click-through rate (CTR) from adverts on average by 17%. Positive reviews matter to consumers. This report shows that 92% of customers read online reviews and 88% of online shoppers take reviews into account when they’re making purchasing decisions. High Google seller ratings encourage customers to trust your business; 68% of people questioned in the above survey said positive reviews made them trust a business more. Star ratings are proven to be the most influential ratings factor, says the same report. They provide an eye-catching visual component to ads. 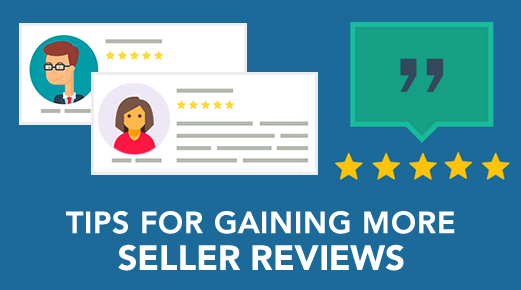 Seller ratings are useful if you don’t have a strong, well-established brand yet or work in an industry where many of your competitors don’t have reviews. 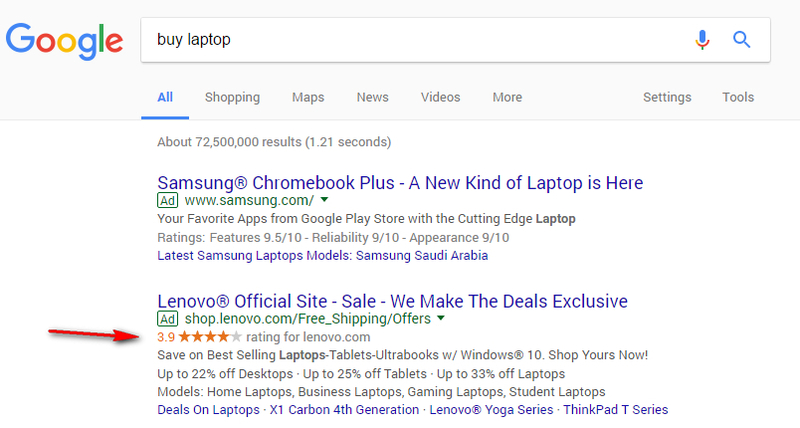 How exactly does Google create your seller rating? A list of 31 independent review sites such as Trust Pilot, PriceGrabber, ResellerRatings and Shopper Approved. Google Trusted Stores, which is a certification program for online businesses. Customers can rate their shopping experiences through the program. The results of Google shopping research. StellaService, a third-party company that measures the quality of customer care for online businesses. Google consumer surveys, which collect data about businesses and domains. Google filters out reviews which it considers are suspicious or untrustworthy and may not show reviews for items or services unrelated to your Google ad. You can choose to disable the seller ratings function if you wish. How do you get Google seller ratings? You must have at least 150 reviews from the last 12 months. You must have an average star rating of 3.5 or higher. Seller ratings will only be displayed when searching from: google.com, google.co.nz, google.co.uk, google.nl, google.com.au, google.de, google.co.jp, google.fr, or google.com.br. At least 10 reviews must be in the same language as the searcher’s Google interface. For example, if a searcher finds you through Google New Zealand then 10 reviews must be in English for seller ratings to show up. If they’re searching from France, 10 reviews must be in French. In addition, make sure that all shopping and review sites you use list your correct business name and URL to allow Google to accurately aggregate your rating. Which review websites should you use and how much do they cost? It must be listed as one of the 31 Google licensed partners. The site should allow you to monitor reviews and respond to negative feedback. You should be able to email previous customers to request a review. The site should verify your reviews by only allowing users to leave a review after they’re actually bought something from you. The site should allow you to share your reviews on your social media channels. Trust Pilot verifies reviews by asking for proof of purchase such as receipts and order confirmations. You can easily contact past customers for reviews and use Hootsuite to share your reviews on social media. Trust Pilot allows you to submit one response to each review. Price: monthly packages start at $599. Shopper Approved has a ‘pay-as-you-grow’ pricing model with a free trial. 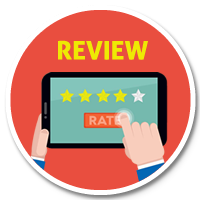 You can easily collect and share reviews and it even allows reviewers to submit video testimonials. Shopper Approved alerts you to negative reviews and allows you to respond in private; the customer is later given a chance to update their review. Price: starts at $99 per month. Reviews.co.uk shows which reviews are verified with invoices or order IDs and which aren’t. The site also allows you to reply to reviews and flag any that are suspicious. You can share reviews on social media and customers are able to attach review photos and ask you direct questions through a Q&A interface. Price: costs between $29 and $199 per month. ResellerRatings is the biggest review site but it doesn’t have a transparent pricing system and has a few bad reviews itself. The site shows which reviews have been verified and which haven’t; you can respond to reviews and share them on social media. Price: costs vary per month according to ResellerRating’s independent algorithm. Yotpo displays both verified and unverified reviews, which you can respond to and share on social platforms. Customers can attach review photos and you can import existing customer reviews from other outlets. Price: start from $400 per month. Ask previous clients to review you. Provide an awesome service so customers feel compelled to leave positive feedback. Request feedback at the right stage of the customer journey; send shoppers an email straight after the transaction has been completed or even add a survey form to the confirmation page. Test the placement of your review requests to see what works best. Make it easy for customers to leave feedback, don’t ask them to log-in or navigate through multiple pages. Instead, make sure all they have to do is simply select a star rating and leave space for any comments they want to add. Ensure that your review request system works on all browsers and across all platforms, especially mobiles. Monitor your reviews and respond to negative feedback. This will allow you to resolve problems and show potential customers that you care about the service you deliver and want to rectify issues. Bear in mind that once you have over 150 reviews, you may have to wait a few weeks for this information to be indexed by Google before your star seller ratings start showing on your ads. So now we’ve demystified Google seller ratings for you it’s time to go out there and boost your business by collecting your own golden stars.